Less cattle on offer due to standstills and land work. Cast cows sold very well with mainly feeding cows on offer, selling to a top of 149p for a Limousin cow sold by J A Bousfield & Sons, Low Stokoe. Next best was 148p for a Charolais from Messrs Baxter, Moss Side. Top price per head £1,117.40 also for a Charolais from Messrs Baxter. Limousin 149p Low Stokoe, 146p Wanwood Hill, 140p (x2) Low Stokoe. Charolais 148p, 130p Moss Side. British Blue 144p Wanwood Hill. Charolais £1,117, £871 Moss Side. Limousin £923 Low Stokoe, £876 Wanwood Hill, £826, £721 Low Stokoe. British Blue £849 Wanwood Hill. 80 spring lambs were a larger entry, all classes in good demand. Top of 300p for Suffolk lambs from Messrs Percival, Fairways, Carlisle and for Texels from JS & JA Bird, High Wreay, Carlisle. Top price per head of £140 for Texels and Suffolks both from Creca Belty Farming, Blackrigg. A larger show of 3,418 prime hoggs with quality very mixed. Best meated quality met the best trade of the season and sold to a top of 335p for Beltex hoggs from JT & EM Marrs & Son, Broomhills, Carlisle, with many pens making between 285-295p per kilo. Heavy hoggs also very dear with many pens selling between £150-£160 and to a top of £169 for Blue du Maine hoggs from A & C Watson, Sanderson House, Whitehaven. Light hoggs again of good meat sold readily between 270-280p per kilo and to £84 for Texel hoggs from B Storey, New Hummerbecks, Co Durham. 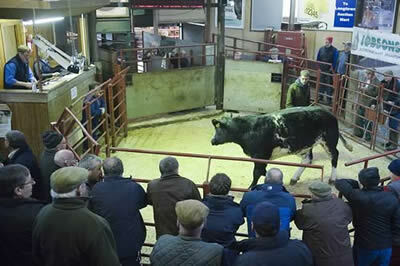 Overall sale average 258.3p (SQQ 257.7p), was 5p per kilo up on the week with all weight ranges required. Beltex 335p Broomhills, 323p Dundraw, 318p Mid Banks, 315p New Hummerbecks, 313p Hobbiesburn, 308p Waterside, 307p Mains of Collin, 306p Uppercleuch, 300p Hollands, 286p, 285p Broomhills, 283p Dundraw, 282p Balgray Hill, 281p Copperthorns. Texel 317p Broomhills, 308p, 306p, 304p Dundraw, 298p Sanderson House, 297p New Hummerbecks, 296p Broomhills & Dundraw, 296p, 295p Sowerby Wood, 295p Broomhills, 293p Dundraw, 291p Mid Banks, 290p North Nether Scales, 289p New Hummerbecks, Sowerby Wood & Auchengray, 288p North Nether Scales, 287p Dundraw, 286p Cardewlees, 285p Hyde Park. Suffolk 298p Drinkstone, 281p Allenheads, 277p Hyde Park, 274p Broomhills, 266p Wynholm, 258p Hyde Park, 248p Creca Hall, 247p Guardsmill, 243p Copperthorns, 241p Sceugh Dyke, Guardsmill & Kimmeter Green, 240p Drumreach, 235p Mirkbooths. Cheviot 293p, 291p, 288p, 286p, 285p, 283p West Scales, 288p, 286p Sandbed, 284p Faulding Cleugh, 283p Longburgh Fauld & West Scales, 282p Glenshanna, 281p Maidencots & Sowerby Wood, 279p Glenshanna & Maidencots, 278p West Scales. Blue du Maine 291p, 280p, 262p, 255p Sanderson House. Blackface 286p Chapelhope, 274p, West Scales & Glenshanna, 273p Skelfhill, 272p, Chapelhope, 269p Glenshanna, 268p Chapelhope, 267p Uppercleuch, 265p Barend, 262p, 261p Heathery Hall, 261p Glenshanna, 260p Littlegill. Charollais 279p Heathery Hall, 273p Cardewlees, 266p Heathery Hall, 264p Cardewlees. Cheviot Mule 272p Sowerby Wood, 261p Crossways. North Country Cheviot 271p Hyde Park, 255p Hownam Grange & Skelfhill. Mule 268p New Hummerbecks, 266p Maidencots, 264p Chapel, 262p Heathery Hall, 259p Glenshanna, 257p Barharrow, 254p Dranigower, 251p Thirstane Cottage & Barharrow, 249p Wynholm, 247p The Hagg, 244p Clonrae, Thirstane Cottage & Mains of Collin, 240p Mirkbooths & The Wynd. Herdwick 255p Maidencots, 251p Hollands. Swaledale 251p Allenheads, 230p Maidencots, 224p Allenheads, 222p The Barton, 221p Gate Ghyll. Blue du Maine £169, £153, £131, £123 Sanderson House. Suffolk £167 Drinkstone, £147 Kimmeter Green, £137 Broomhills, £131, £130 Crossways, £130 Sceugh Dyke & Guardsmill, £125 Allenheads & Drumreach, £124 Allenheads, £119 Hyde Park, Copperthorns & Creca Hall, £118 Allenheads & Guardsmill, £117 Wynholm, £116 Helton Gate. Texel £166 Sanderson House, £161 Thirstane Cottage, £160 Auchengray, Cardewlees & Sowerby Wood, £156 Dundraw, £155 Sanderson House, £154 Dundraw, £151 Sowerby Wood & Dundraw, £150 Auchengray, £149 Longburgh Fauld, £147 Broomhills & Hawthornside, £146 Longburgh Fauld & Sceugh Dyke, £145 Cardewlees, Yewtree & Crossways. Beltex £155 Dundraw, £150, £144 Broomhills, £141 Burnside & Mains of Collin, £133 Dundraw, £129 New Hummerbecks, £127 Mid Banks, £125 Hobbiesburn, £120 Broomhills. North Country Cheviot £143 Skelfhill, £125, £120 Hownam Grange, £115 West Scales. Cheviot £133 West Scales, £129 Airds of Balcary, £127 Sowerby Wood, £126, £125, £124 West Scales, £126 Sandbed, £125 Creca Hall, £124 Drumreach, £122 Faulding Cleugh, £121 Sowerby Wood, Maidencots & Barend, £120 Bloch & West Scales. Blackface £131 Skelfhill, £125 Marygate & Chapelhope, £119 Glenrath, £115 West Scales, £113 Glenshanna, £111 Yewtree, £110 Marygate. Charollais £129 Crossways, £125 Heathery Hall, £120 Crossways. Cheviot Mule £128 Sowerby Wood. Mule £127 Glenshanna, £121 Barharrow & Maidencots, £119 Crook Bank, £117 Wynholm & Maidencots, £116 Chapel, £113 Mirkbooths, £110 Airds of Balcary, The Wynd & Edge Farm. Swaledale £115 Gate Ghyll, £101, £100 Allenheads, £100 Gate Ghyll. 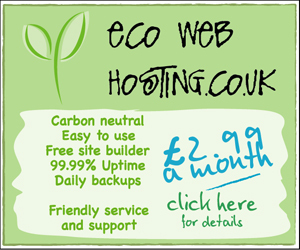 Herdwick £103 Hollands, £102 Maidencots. A much larger entry of 3,722 cast ewes and rams met the dearest trade of the season with all buyers eager for supplies. 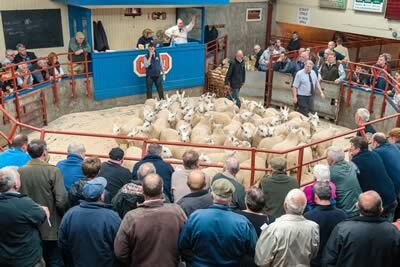 Top of £169 for Texel ewes from Marygate. Export ewes sold to £94 for Blackfaces from J & D Longlands Ltd, Tone Hall, Hexham, with others to £88 for Cheviots from J Halliday & Sons, Springwells, Lockerbie. Cast rams to £148 for Texels from R Forsyth, Lower Cults, Newton Stewart. Texel £169 Marygate, £168 Lower Cults, £167 Wreay, £166 Sanderson House, £165 Viewley, £163 Heatherglen, £160 Kellah, £159 Sanderson House, £158 Raggetsyke, £157 Marygate, £155 Burray & Beckfoot, £154 Kirkland, £153 Wreay, Marygate & Sanderson House, £152 Tercrosset, £149 Heatherglen & Viewley, £149, £147 Hillcrest, £147 Chaseside & Viewley, £145 Beckfoot & Heatherglen, £143 Laurels & Beckfoot, £143, £141 Viewley, £139 Heatherglen, £137 Easter Ochtermuthill, £135 Beckfoot & Viewley. Charollais £143 Beckfoot, £141 Viewley, £139 Heatherglen, £135 Chaseside, £127 Viewley, £125 Heatherglen, £123 Viewley, £121 Beckfoot & Heatherglen. Suffolk £139 Heatherglen, £137, £135 Chaseside, £135, £133 Beckfoot & Viewley, £132 Viewley, £131 Beckfoot, £129 Marygate, Viewley, Chaseside & Sceugh Dyke, £128 Guardsmill, £127 Heatherglen, £126 Longyester & Trawhill, £125 Viewley & Beckfoot. £124 Sceugh Dyke, £123 Heatherglen & Viewley, £121 Fearn & Chaseside, £120 Hillcrest, £119 Beckfoot & Auchengray, £117 Chaseside & Auchengray, £115 Chaseside, Trawhill & Sceugh Dyke. Blue du Maine £137, £129, £121 Sanderson House, £118 Trawhill. North Country Cheviot £123 East Murkle, £113 Damside, £111 Burray, £105 Hownam Grange, £97 Tain Olrig & Damside, £93 Baillie. Blue Faced Leicester £120 Old Police House, £118 Kellah, £112 Craighead, £109 Kellah £107 Albierigg, £103 Aton, £100 Thirstane Cottage. Mule £108 Marygate, £105 Tone Hall, £102 Kellah, £101 Marygate, £100 Viewley, £99 Sowerby Wood, £97 Swallowdene, £94 Easterfodderlie, £93 Graceside, Ormiston, Burray & Stirches Mains, £92 Tundergarth Mains, £90 Longyester & Craighead, £89 Netherhill & Marygate, £88 Newbiggin. Cheviot Mule £95 High Stenries. Blackface £94 Tone Hall, £88 Aton & Longyester, £87 Albierigg, £86 Balgray Hill, £85 Lawston, £83 The Wynd, £82 The Hagg, £80, £75 Aton, £78 Burnhouse, £75 Tone Hall, Kellah & Viewley, £72 Mains of Collin, £71 Wreay. Cheviot £88 Springwells & Balgray Hill, £83 The Wynd, £79 Longyester, £76 Brockhouse, £75 The Wynd & Dunnabie, £73 Kilbrora, £70 Drycleuchlea, £68 Bloch & North House. Swaledale £78 East Unthank, £70 Newbiggin, £63 Broomhills & Netherhill, £62 Butterdales. Jacob £61 Wardrew, £58 Whinney Brow. Texel £148 Lower Cults, £141 Heatherglen, £131 Chaseside, £130, £127 The Hagg, £126 Hillcrest, £120 Springwells, £118 Aton, £115 Viewley, £114 Golden Lane, £113 Heatherglen, £111 Shankbridge End. Suffolk £143, £113 East Murkle, £109 Viewley. Charollais £136 Heatherglen, £131 Beckfoot. Blue Faced Leicester £121 Aldery Terrace, £110 East Unthank, £100 Thirstane Cottage, £98 Springwells, £94 Albierigg. Blackface £88 Collin Bank, £80 Tone Hall.